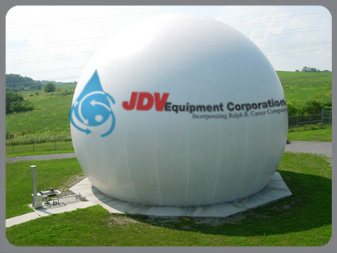 The JDV Double Membrane Gas Holder is a proven design to store digester gas with low total cost of ownership. The storage system is easier to install, has lower upfront capital costs and requires lower operating capital when compared to other methods of gas storage. 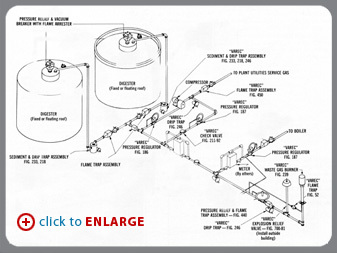 The unique design allows for variable gas storage within the inner membrane at constant pressure during gas production and utilization , while the air inflated outer membrane provides gas pressure and protection. The outer membrane is constructed of a high tech cross woven fabric, coated with PVC and Ultraviolet (UV) ray protection, which has proven to endure the weather elements. An ultra sonic sensor is positioned at the center of the sphere to monitor the volume of gas present. This gives the operators full control of optimizing the utilization of gas to feed generators and/or heating systems. 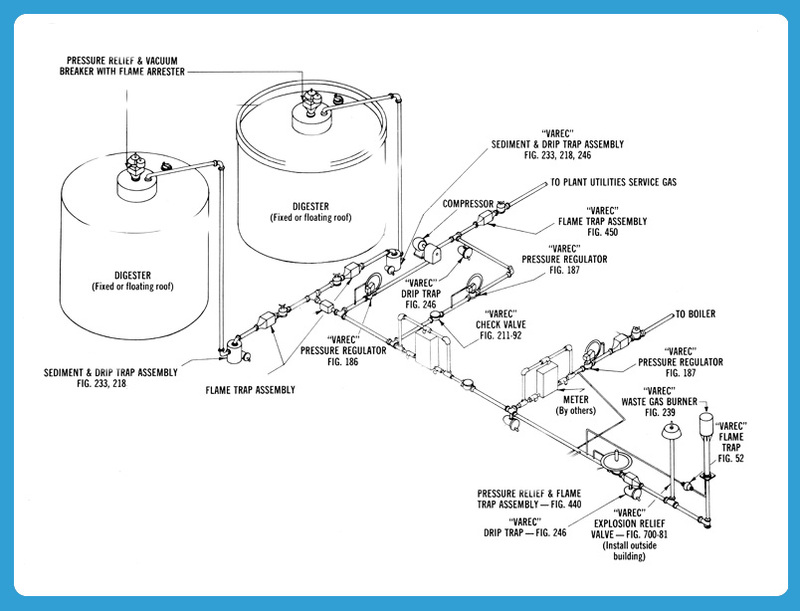 Storing digester gas and eliminating or reducing 'flaming' from the digester(s), can help your facility reduce or completely eliminate the need for electric grid power when generators and/or hot water boilers are incorporated into the system/facility design.